The idea of frying food might seem terrifying and difficult. Before trying this recipe, I associated the art of frying food at home with the time my dad almost set our house on fire. Anyway, it’s surprisingly easy and safe to do. 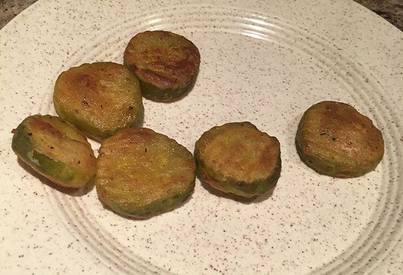 I'm going to show you how to make a simple dish: fried pickles. Even if you haven’t fried any kind of food before, you should have no trouble mastering this cooking technique.